The Temple of the Vedic Planetarium has 108 pillars within it, appropriately named the Pillars of Devotion. 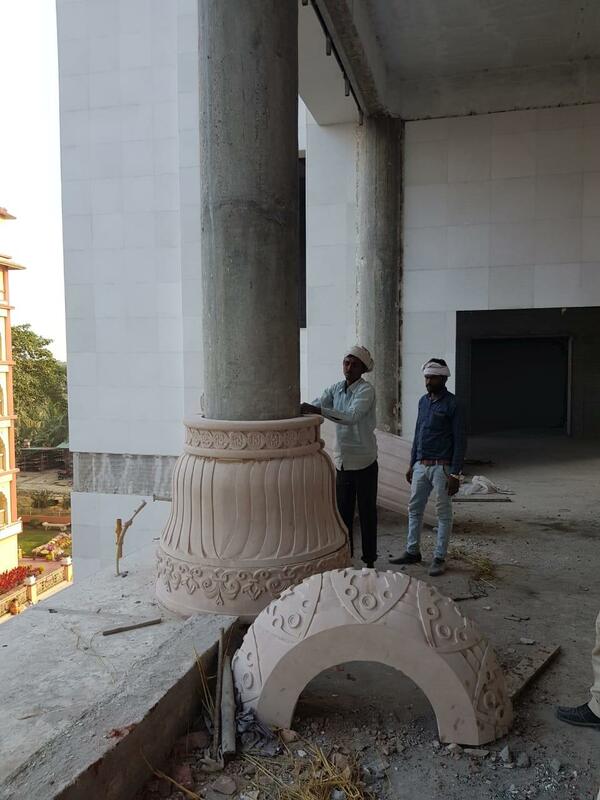 Of these, the first ten located inside the main entrance are called the Sravanam Pillars and will be clad with sandstone embellishments custom made in Jaipur to give them their beautiful detail. The remaining temple pillars will all be marvelously clad in decorative marble. There are also many other pillars throughout the temple external structure along the parikrama path and these will be clad with sandstone. 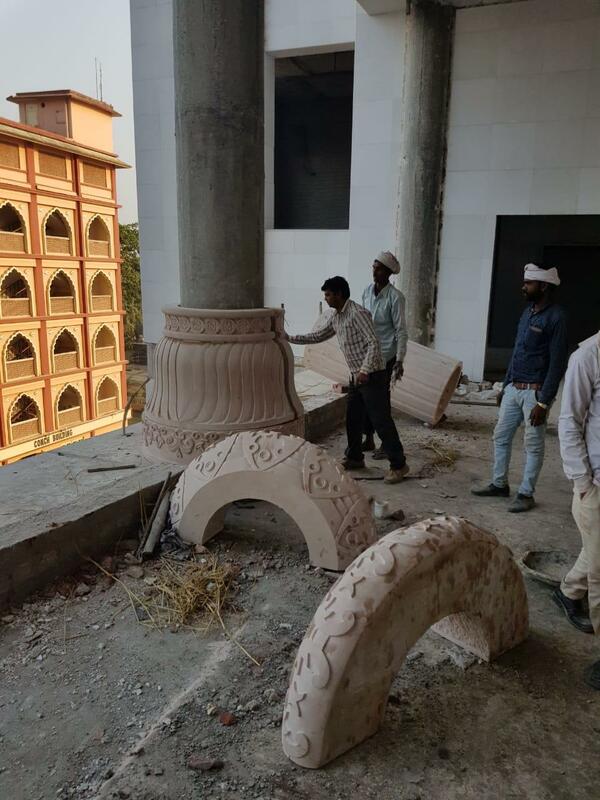 Pictured here are a few of the parikrama path pillars and the sandstone pieces that will be used, to give you an idea of their enormous size and exquisite detail and beauty.